The USDA plans to spend up to $1.2 billion to support U.S. farmers by purchasing products to be distributed through the nation’s food bank network. The product, purchased through a trade mitigation package, is expected to provide record amounts of USDA products for the national food bank network and its hunger-relief partners. The purchased products will include apples, beef, blueberries, corn, cranberries, dairy, grapes, lentils, orange juice, peanut butter, peas, pork, potatoes, rice and walnuts. The first product loads should arrive at the Foodbank in mid-December. To help keep your program informed about available products, we will send regular emails with product details and expected delivery dates. We hope to help you maximize your ability to take advantage of these products. Please make sure you and any other leaders from your organization are receiving emails from the Foodbank. If you need to make any changes to your program’s email addresses, please contact Keith Freund at kfreund@acrfb.org or 330.777.7576. To assist in distributing the high volume of product to individuals and families in need, the USDA is encouraging existing food pantries and hot meal sites to offer additional food distributions to the public. 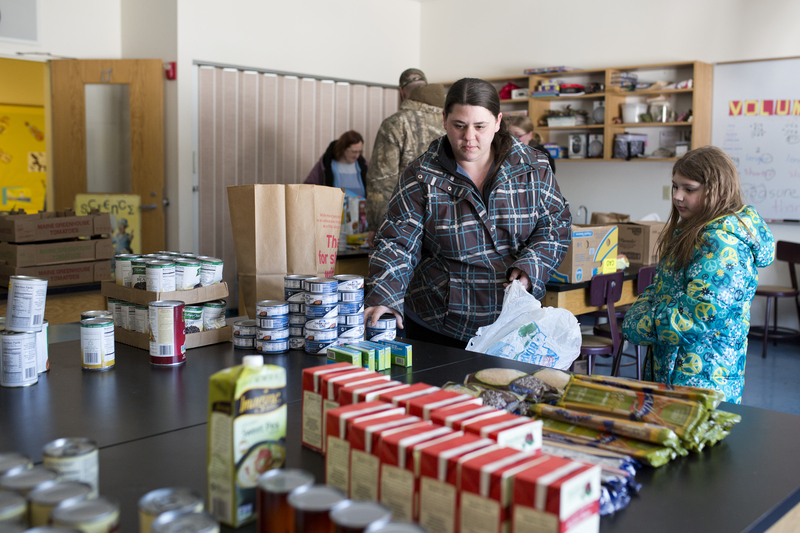 Nonprofit organizations and churches not currently operating a public food program, could also offer a seasonal or limited-time emergency food program. If your organization is interested in starting a public food program, or if you know an organization that may be interested, please contact Gary Green at ggreen@acrfb.org or 330.777.7575, or Linda Steinhebel at lsteinhebel@acrfb.org or 330.777.2303.